Have you ever wondered how your home looks to an outsider? To someone who will enter your house or apartment without you having enough time to sort everything out? Imagine that there is a very special friend that has just called and didn’t give you time to hide all the dirty clothes or wash the dishes nor the dust that has been piling up. Doesn’t this give you anxiety? Doesn’t it make you uncomfortable? According to statistics, people who have a clean and organized home come back without any worries and thus they are happier. There is a saying that when you get up in the morning if the first task in your mind is to set your bed and you do that every time you will become more productive as that first task will give you the energy to do another and another after that. And at the end of the day if you had a really bad day at least you will have a made bed to come back to that will give you comfort and ease your day. The unclean environments and people living in these kinds of homes are often associated with depression as the lack of motivation to do simple house chores is a gateway to unhappiness and stressful environment. Just imagine your home with children running everywhere and throwing things around or smudging things on the wall without anyone putting a stop to it. Imagine that you are the busy husband or wife coming back from a tiring day at the office and tripping on toys or just coming to a total disaster. Would this be something that would make you happy? All of this translates to a simple equation (clean home=happy home). 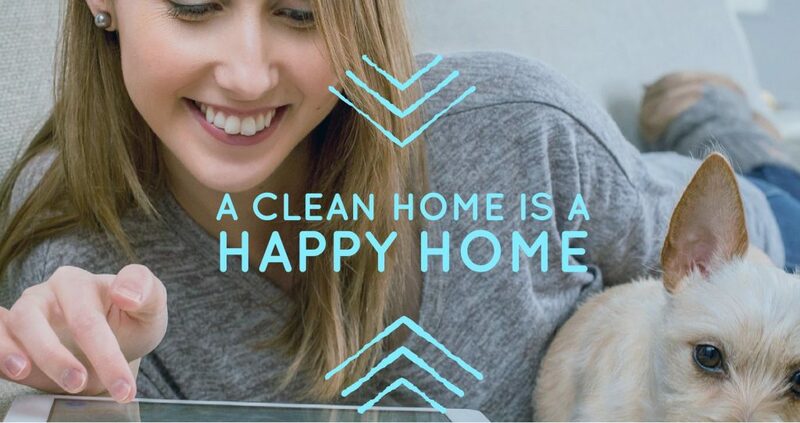 If you are a very busy person or you just don’t like or cannot clean by yourself there are many businesses like the cleaning gurus that can provide you with the benefit of a clean home and with that a great pick-me-up to start your day. You would leave a messy household just to come back at a shiny castle. Wouldn’t that be just great? !